Israel’s new government - which, at least in its initial composition, is one of the most hardline in Israel’s history - will be sworn in within days. This government brings together Israel's ultra-nationalist and ultra-Orthodox parties along with a new centrist party. Past positions of this government's members suggest future policies that are the antithesis of what we stand for. This government seems bound to act to further hinder the viability of a two-state solution, to further exacerbate Israel's isolation internationally, to intensify West Bank settlement construction, promote undemocratic legislation and to act to stifle dissent. The Palestinian question is not even mentioned in the government’s guidelines! The cabinet’s super-important Justice portfolio has been given to The Jewish Home’s Ayelet Shaked, who for years has been pushing legislation to dry up the funding sources of Israel’s pro-democracy, pro-peace nonprofit organizations such as Peace Now. Lag B'Omer - the 33rd day between Pesach and Shavuot- is a little-known Jewish holiday that celebrates (among other things) the cessation of a divinely-sent plague that resulted from people not showing one another adequate respect. It is celebrated with bonfires, and for the religious, a cessation in the semi-mourning practices observed throughout the Post-Passover Omer period. In Israel, on Lag B'Omer, a pall of smoke hovers over the city of Jerusalem from all the bonfires being set throughout the city. Today, it feels as though mourning is the proper mood. The plague we suffer is one of racism, violence and destruction. "Price tag" - the practice of destroying and vandalizing the property not only of Palestinians, but of Christians, and of those who work for peace on the left, has continued to increase. 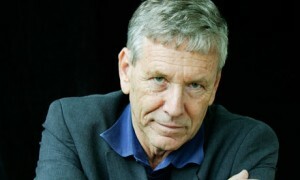 Israeli author Amos Oz likes to say that he loves Israel even when he can’t stand it. Israel’s public sphere has in recent months given Israelis such as Oz, and their friends overseas, many reasons for frustration. The growing gap between rich and poor (the widest in the world), overt expressions of racism, intolerance and xenophobia, anti-democratic ultra-nationalist legislation, government policies that pull the rug from under the pro-peace rhetoric of its leaders. And rhetoric that doesn’t even presume to be pro-peace. Nazis and Kapos and some self-loathing thrown in too. 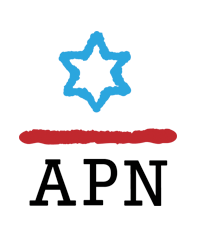 In the lead-up to this year’s Passover holiday, Americans for Peace Now launched a Facebook meme campaign inspired by the words of Peace Now co-founder Galia Golan. We asked that Jews who care about Israel spill some wine in acknowledgement of Israel’s “modern-day plagues”, as is traditionally done during the Seder when reading the ten plagues of Egypt. The first modern-day plague, “continued settlement building,” was chosen because of the degree to which Israeli settlement expansion damages prospects for peace. The growth of settlements in the West Bank and East Jerusalem threatens to eliminate the possibility of a two-state solution for Israelis and Palestinians – the only solution that can secure Israel’s future as a democracy and a Jewish state. Written before the elections, our Passover letter noted how wealthy extremists like Sheldon Adelson support programs based on their right-wing values. We ask in our letter how those of us who support peace can do the same. It's time to step up. In case you missed it, I include our passover message below, as well as a link to Israeli security expert Yossi Alpher's warning against complacency. You do not need to be a billionaire to make a difference; you only need to act! For pro-peace American Jews and Israelis, billionaire Sheldon Adelson is the object of both fear and scorn. He’s certainly an easy target. Crass and richer than Croesus, he seems to get a blank check for irresponsible remarks, such as calling the Palestinians “an invented people” and advocating a preemptive nuclear strike against Iran. He has made it his mission to thwart a peace deal that would bring a two-state solution to the Israel-Palestinian conflict. The essence of Passover is a promise for a better future through the transformation of an entire people from slavery to freedom. This idea has sustained us, the Jewish people, for centuries. In the wake of Israel’s recent elections we must find a way to cope with the policies of Israel’s re-elected prime minister which offer us little promise and hope. After my dear friend Leonard Nimoy died recently, I was reminded of the time in 2011 when I first introduced him to Americans for Peace Now-- a shiddach worth celebrating. What was born of this relationship was a fundraising letter that he enthusiastically endorsed. In my March 4th tribute to Leonard published in Tablet, I noted, "When I've asked other celebrities to sign a petition, ad, or call to action—whether about peace or women's issues—they usually want to know who else is signing; they need cover; they need time to consult their friends, managers, or agents to be sure they're not risking their public image. Not Leonard. He simply read the suggested draft, tweaked a few sentences, then put his name to the letter, which closed with a plea for a tax-deductible contribution to APN -- and the inside Spock joke, "Dare I say it? It's the logical thing to do." Prime Minister Netanyahu began his speech to Congress with a reference to the book of Esther – the book also known as the “Megillah” that we read on the holiday of Purim. In attempting to make the case for his controversial speech, Netanyahu implied that he was playing the role of the heroine of the story, Queen Esther, savior of the Jewish people. It sounds absurd, but he was quite serious. In fact, the whole path leading up to the speech was a series of twists and turns that are nearly unbelievable, although they certainly fit the themes of intrigue and absurdity that characterize the Purim story. Indeed, the political circus surrounding the speech provided us with our very own “Purim spiel” - whether it was the spectacle of House Majority Leader John Boehner inviting a foreign head of state to come to Congress and attack the elected president of the United States, or Netanyahu’s flagrant efforts to exploit the invitation for his own electoral gains, or the entire history of Netanyahu’s gratuitous jabs at President Obama (nor his unmitigated chutzpah in pretending otherwise)! This week, Israeli President Reuven Rivlin publicly lamented the challenge facing the new Palestinian city of Rawabi, whose existence he called a “clear Israeli and Zionist interest.” Rawabi is now ready for its first residents – except that there is no running water. This problem has continued for months, and President Rivlin drew attention to a Haaretz editorial identifying its source: the zero-sum game that Israeli settlers and politicians play with the lives of Palestinians. APN Chair Jim Klutznick recently brought you the story of Rawabi and how it can benefit Israel – his words are more timely and urgent than ever. Not so much as a mustard seed.